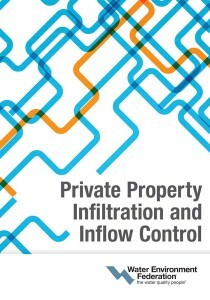 The Water Environment Federation (WEF; Alexandria, Va.) has released Private Property Infiltration and Inflow Control. This book offers guidance on methods to identify, locate, and estimate the magnitude of private property infiltration and inflow (I/I) as well as best practices to control it. I/I control efforts can pose a challenge for utilities, and private property I/I sources can add complexity. The book — a resource for utility and collection systems managers, engineers, scientists, and public health officials — outlines critical elements for implementing a successful private property program and navigating barriers to implementation. It covers legal, financing, political, and regulatory considerations; types of private property programs utilities are using; case studies from around the country; and results from the 2015 WEF Private Property I/I Survey.